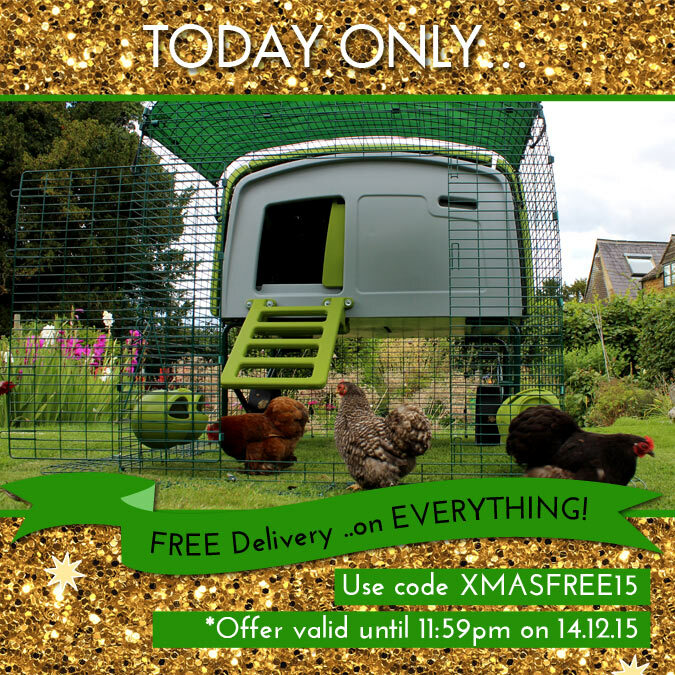 Free Delivery On EVERYTHING Today Only! This is your last chance to get FREE DELIVERY on EVERYTHING in time for Christmas. With no minimum spend required why not take the opportunity to stock up on some stocking fillers, get in some extra chicken feed for the holidays or treat someone special to the pet house they’ve always wanted. This offer is not valid in conjunction with any other Omlet offer. The offer expires at 11:59pm on 14th December 2015. The cheapest delivery option will be free. Offer applies to UK orders only. Previous purchases are not eligible for this offer. « More Great Gift Ideas for All the Family!